Xiaomi have announced their very first mesh router, it’s called the MiWiFi and it´s a powerfull equipment that will end the WiFi problems in your house. 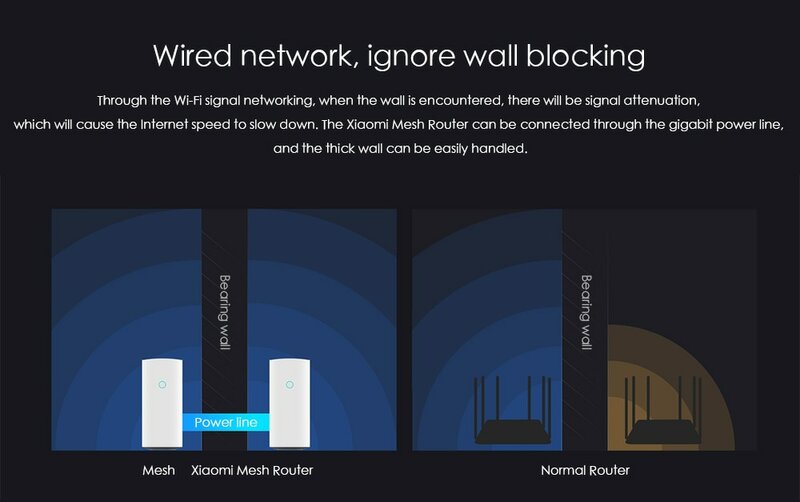 A traditional Wi-Fi network is centered around a router, which broadcasts a wireless signal to the devices in your home. Basically, the router directs internet traffic between your connected model and the Wi-Fi friendly gadgets in your home. 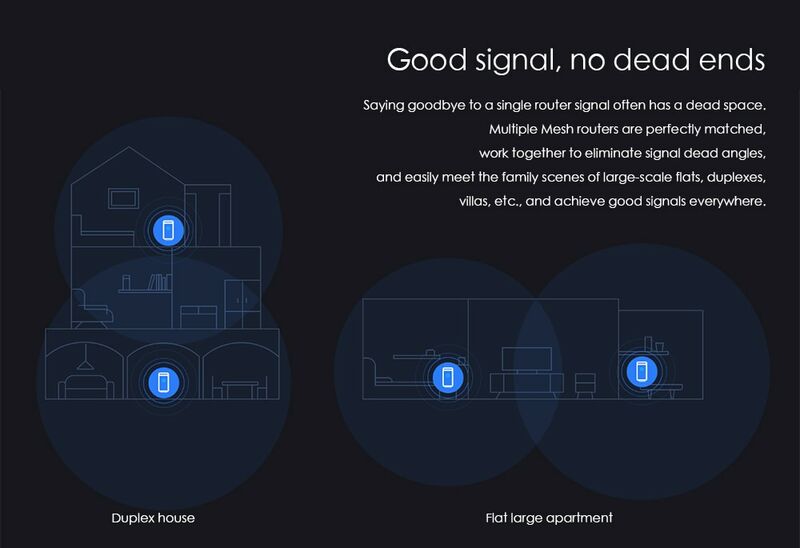 A mesh network, on the other hand, rather than broadcasting the signal from a single point, has multiple access points. 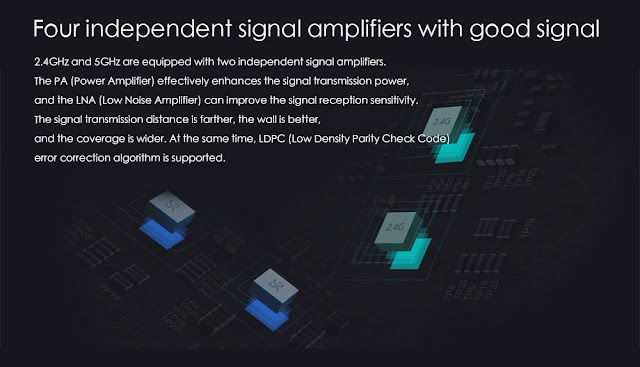 One point connects to a modem and takes on the role of a router, while the other access points (often referred to as “satellites”) capture the router’s signal and broadcast it further. 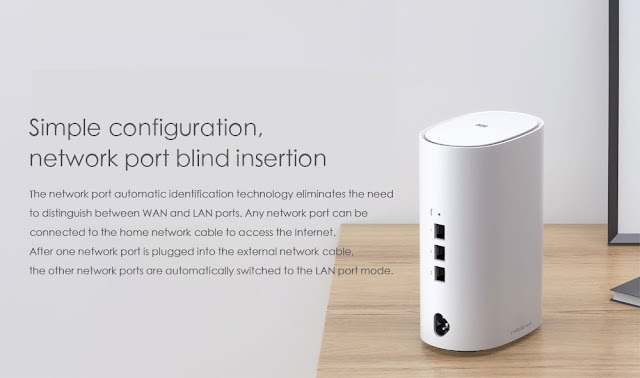 For most people, having a standard router is more than enough for everyday use. However, if you live in a large home, a place with an unusual layout, or the one with several stories, you may often suffer from connection issues or Wi-Fi dead zones. In this case, a mesh router could solve of your network issues. Xiaomi’s newly unveiled mesh router was developed in collaboration with Qualcomm and runs on the Qualcomm DAKOTA 4-core CPU with single core frequency of up to 717MHz. 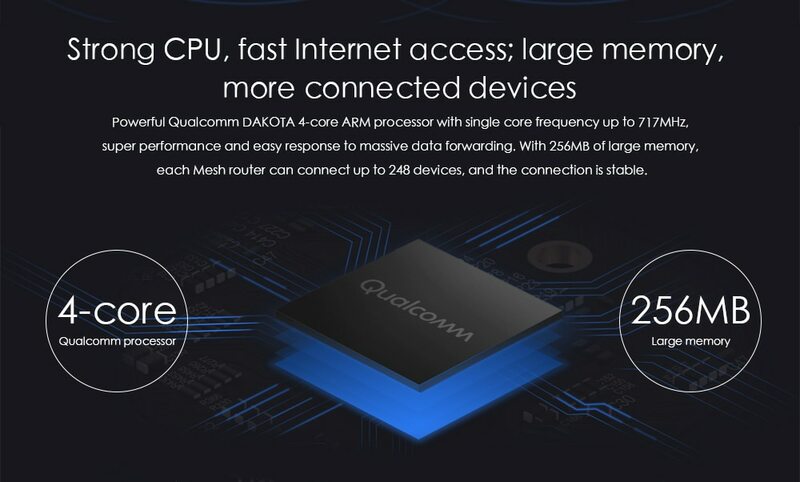 With 256Mb memory onboard each mesh router in the set can ensure a stable connection of up to 248 devices. 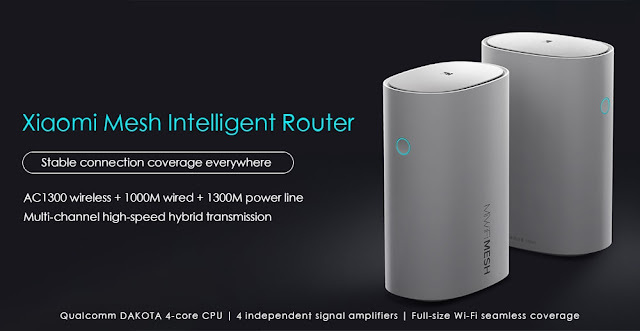 With the MiWiFi, you are not just getting a router but rather a whole Wi-Fi system consisting of two routers and four amplifiers. There are two independent signal amplifiers at 2.4GHz and 5GHz; a Power Amplifier (PA) for a stronger signal transmission and a Low Noise Amplifier (LNA) for better signal reception sensitivity. The system is capable of handling a variety of home environments as it supports multi-channel hybrid networking, which is especially beneficial for complicated home environments (duplex apartments, villas, townhouses, large scale flats, etc.) 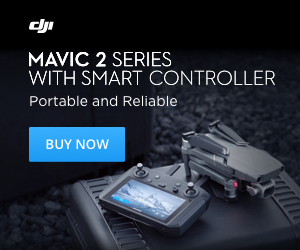 as you get the chance to completely eliminate Wi-Fi dead zones. The router can reach the networking speed of 2,567Mbps via the gigabit Ethernet port and enables high-speed internet access throughout your home. And while thick walls and other physical obstacles may be in the way of a standard router, Xiaomi’s mesh router hand “strea” high-speed internet right through them. 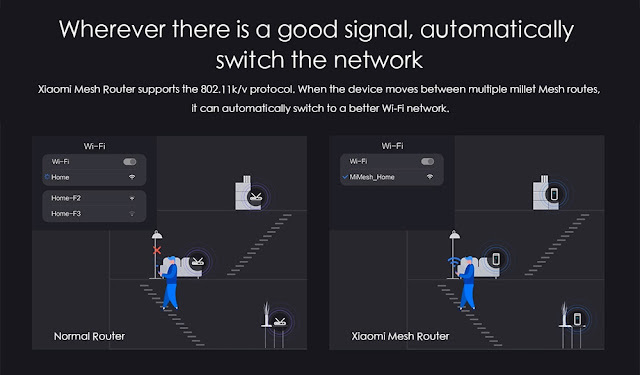 Xiaomi’s mesh router supports 802.11k/v protocol and as it “moves” between the different mesh routes, it will automatically switch to a network with a better signal. 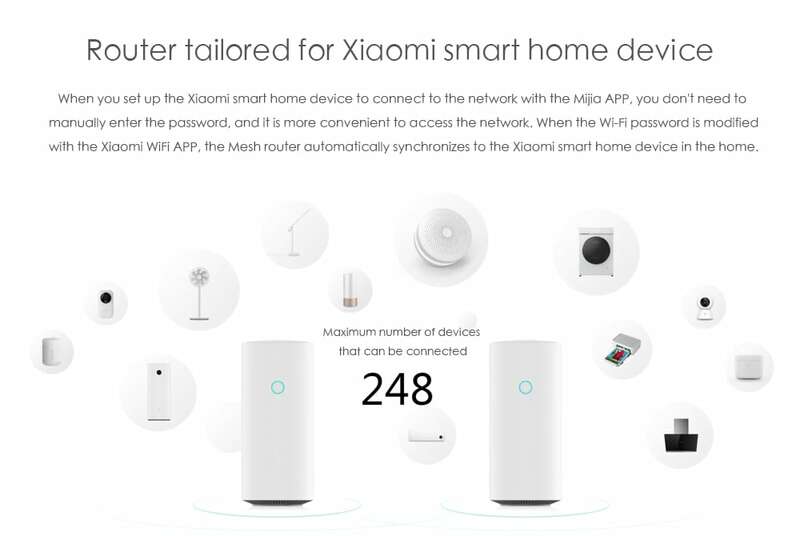 A great feature for those already using other Mi Home smart devices is that the router system will be a functional part of that ecosystem. 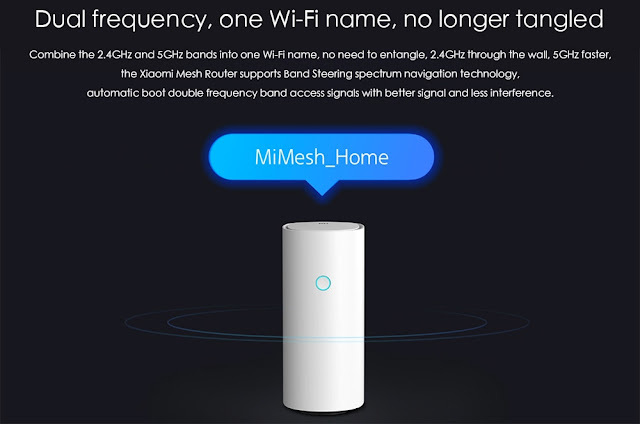 You can use the Mijia App to set up the router in just a few simple steps and it will instantly connect to all the other Wi-Fi enabled Mi devices in your home. 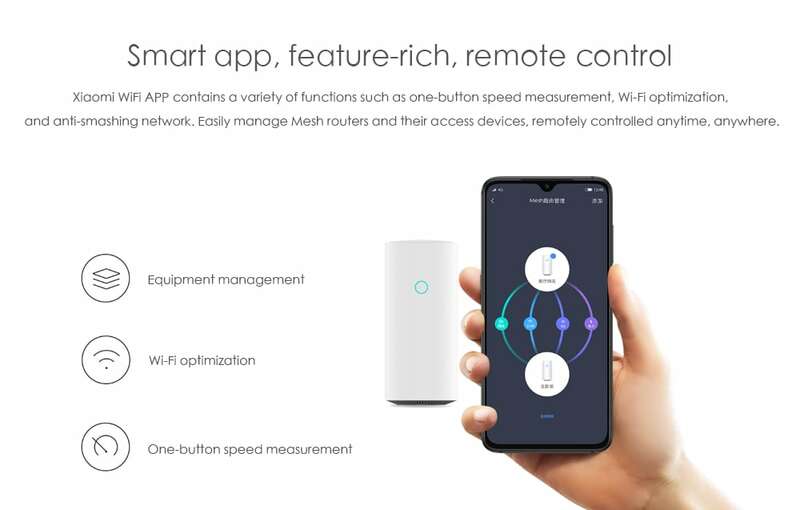 The MiWiFi mesh router also has its own dedicated app for easy control and management of your mesh networks as well as access to information such as network speed, connected devices, etc. Another great feature that the system has onboard is called Multi-user Multiple Input Multiple Out, MU-MIMO for short. 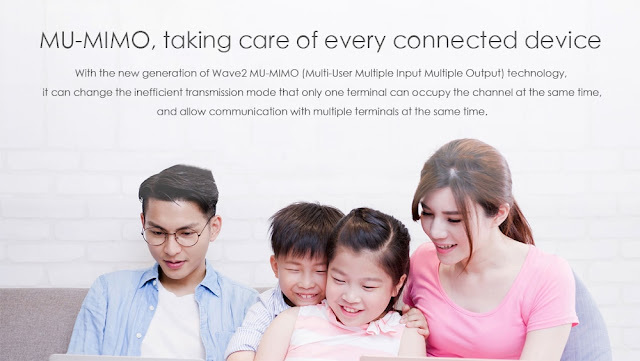 With it, you can set transmission limits for each individual account on the network, making sure that one channel won’t occupy all the network space. Additionally, there is an efficient parent control option that allows you to set networkable time and the list of URLs your children are allowed to access, which parents are sure to appreciate. 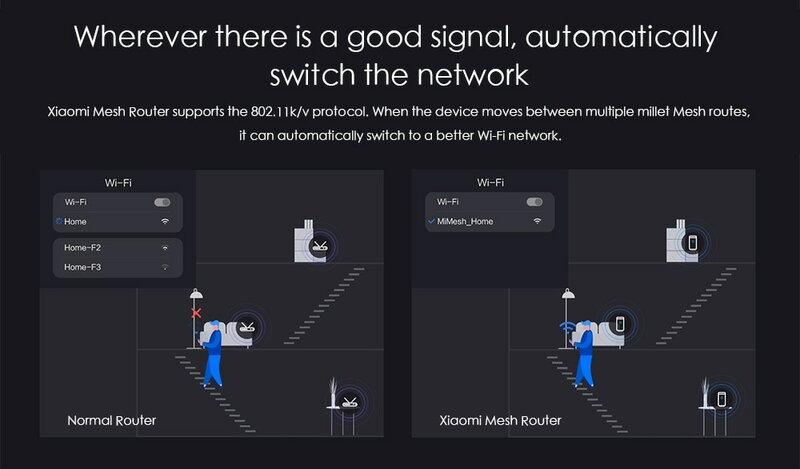 The Xiaomi MiWiFi can be purchased at Gearbest.